Hi everyone! 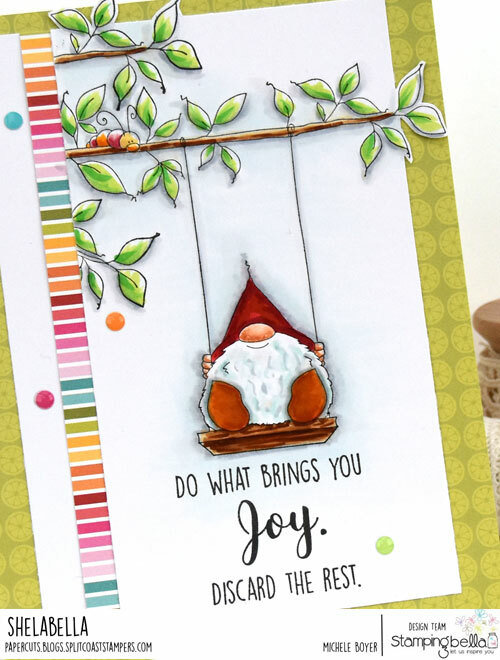 I’m popping in today with a card I created using one of Stamping Bella‘s latest releases, Gnome on a Swing. I adore the gnome, but even more, I adore the sentiment. I stamped the image onto X-Press It Blending Card then stamped only the branch end again, above and below the swing branch. All coloring was done with Copic markers (listed below close-up photo). 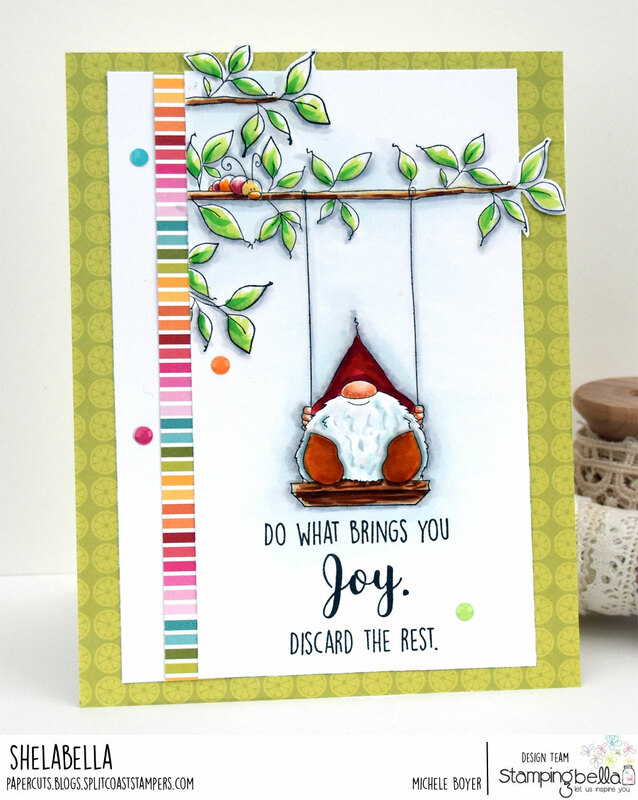 The bit of bright stripes and green patterned paper are from Queen & Company‘s Fruit Basket paper pad. Bright enamel dots are from Taylored Expressions. 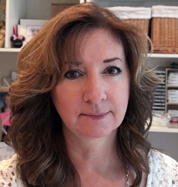 You can find all of Stamping Bella’s latest release HERE.